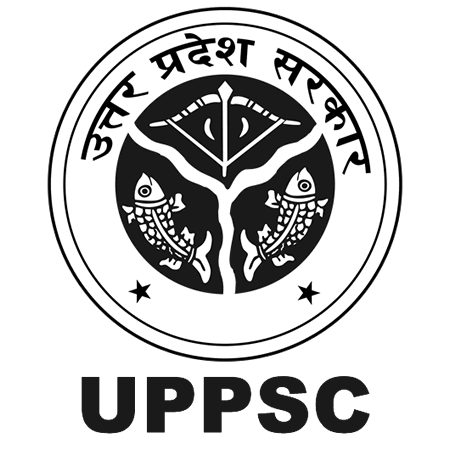 UPPSC Admit Card 2019: Below are the admit cards published by UPPSC - Uttar Pradesh Public Service Commission (UPPSC) / uppsc.up.nic.in. The recent Admit Card issued for the recruitment drive is Dental Surgeon Admit Card 2019. UPPSC Dental Surgeon Admit Card 2019: Uttar Pradesh Public Service Commission (UPPSC) has issued the Admit Card on 08 Mar 2019 for Dental Surgeon Exam 2019. UPPSC Dental Surgeon Exam Admit Card 2019: Uttar Pradesh Public Service Commission (UPPSC) has issued the Admit Card on 07 Mar 2019 for UPPSC Dental Surgeon Exam Exam 2019. UPPSC Assistant Registrar Admit Card 2019: Uttar Pradesh Public Service Commission (UPPSC) has issued the Admit Card on 25 Feb 2019 for Assistant Registrar Exam 2019. UPPSC Assistant Registrar Admit Card 2019: Uttar Pradesh Public Service Commission (UPPSC) has issued the Admit Card on 22 Feb 2019 for the exam. UPPSC RO/ ARO Mains 2017 Admit Card 2019: Uttar Pradesh Public Service Commission (UPPSC) has issued the Admit Card on 08 Feb 2019 for RO/ ARO Mains Exam 2019. UPPSC Civil Judge PCS J Pre Admit Card 2018: Uttar Pradesh Public Service Commission (UPPSC) has issued the Admit Card on 30 Nov 2018 for UPPSC Civil Judge PCS J Pre Exam 2018. UPPSC Assistant Statistical Officer Admit Card 2018: Uttar Pradesh Public Service Commission (UPPSC) has issued the Admit Card on 30 Oct 2018 for Assistant Statistical Officer Exam 2018. UPPSC PCS Pre Exam Admit Card 2018: Uttar Pradesh Public Service Commission (UPPSC) has issued the Admit Card on 12 Oct 2018 for the exam which is scheduled to be held on 28 Oct 2018. UPPSC Various Post Admit Card 2018: Uttar Pradesh Public Service Commission (UPPSC) has issued the Admit Card on 21 Sep 2018 for Various Post Exam 2018. UPPSC GIC Lecturer Admit Card 2018: Uttar Pradesh Public Service Commission (UPPSC) has issued the Admit Card on 16 Sep 2018 for GIC Lecturer Exam 2018. UPPSC ACF / RFO Mains Admit Card 2018: Uttar Pradesh Public Service Commission (UPPSC) has issued the Admit Card on 06 Sep 2018 for ACF / RFO Mains Exam 2017. UPPSC Assistant Teacher LT Admit Card 2018: Uttar Pradesh Public Service Commission (UPPSC) has issued the Admit Card on 22 Jul 2018 for Assistant Teacher LT Exam 2018. UPPSC Mains Re Exam (Hindi/Essay) Admit Card 2018: Uttar Pradesh Public Service Commission (UPPSC) has issued the Admit Card on 29 Jun 2018 for Mains Re Exam (Hindi/Essay) Exam 2018. UPPSC PCS Main Exam Admit Card 2018: Uttar Pradesh Public Service Commission (UPPSC) has issued the Admit Card on 07 Jun 2018 for UPPSC PCS Main Exam 2018. UPPSC Junior Assistant Interview Letter 2018: Uttar Pradesh Public Service Commission (UPPSC) has issued the Admit Card on 26 May 2018 for Junior Assistant Exam 2018. UPPSC LT Grade Assistant Teacher Admit Card 2018: Uttar Pradesh Public Service Commission (UPPSC) has issued the Admit Card on 07 May 2018 for LT Grade Assistant Teacher Exam 2018. UPPSC Regional Inspector Admit Card 2018: UPPSC has issued the Admit Card on 12 Apr 2018 for the exam which is scheduled to be held on 25 Apr 2018 to 28 Apr 2018. UPPSC RO/ ARO Samiksha Adhikari Admit Card 2018: UPPSC has issued the Admit Card on 31 Mar 2018 for the exam which is scheduled to be held on 08 Apr 2018. UPPSC Range Forest Officer Admit Card 2018: UPPSC has issued the Admit Card on 30 Mar 2018 for the exam. Lower Subordinate Admit Card 2017: UPPSC has issued the Admit Card on 23 Dec 2017 for UPPSC Combined Lower Subordinate Services (PCS-Lower) Exam 2015 which is scheduled to be held from 04 Jan 2018. See the list of Shortlisted candidates and Interview Schedule for the exam below.